A week of healthy dinner recipes that use just one dish, pan or pot—making cleanup a breeze! Fall weather makes us crave hearty recipes like hearty chili, cheesy pasta and steaming bowls of soup. In this week's meal plan, classic comfort-food recipes are made healthy to satisfy your cravings without going overboard on calories. Plus, they come together using just one dish, pot or pan—making dinner easy to cook and clean up. These delicious dinners will quickly become a regular part of your fall recipe lineup. 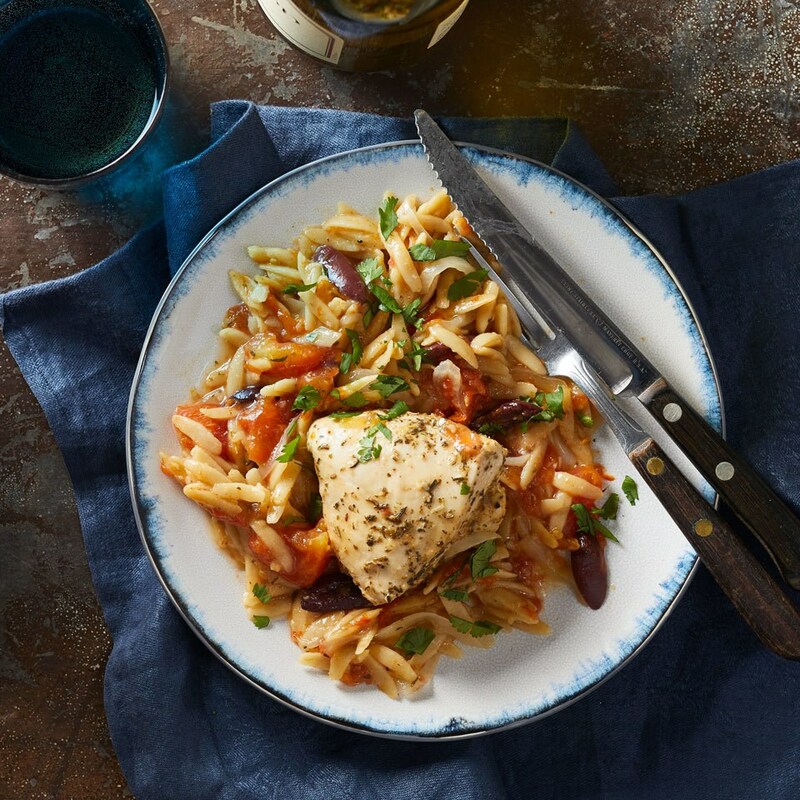 Slow-Cooker Mediterranean Chicken & Orzo: In this easy load-and-go slow-cooker recipe, chicken and whole-wheat orzo are infused with the vibrant flavors of the Mediterranean to create a delicious and simple dinner that is just as easy to clean up as it is to cook. Serve with a green salad with vinaigrette. Instant Pot Curry: This vegan dish combines the warm flavors of curry and ginger with creamy coconut to provide a healthy and delicious dinner. 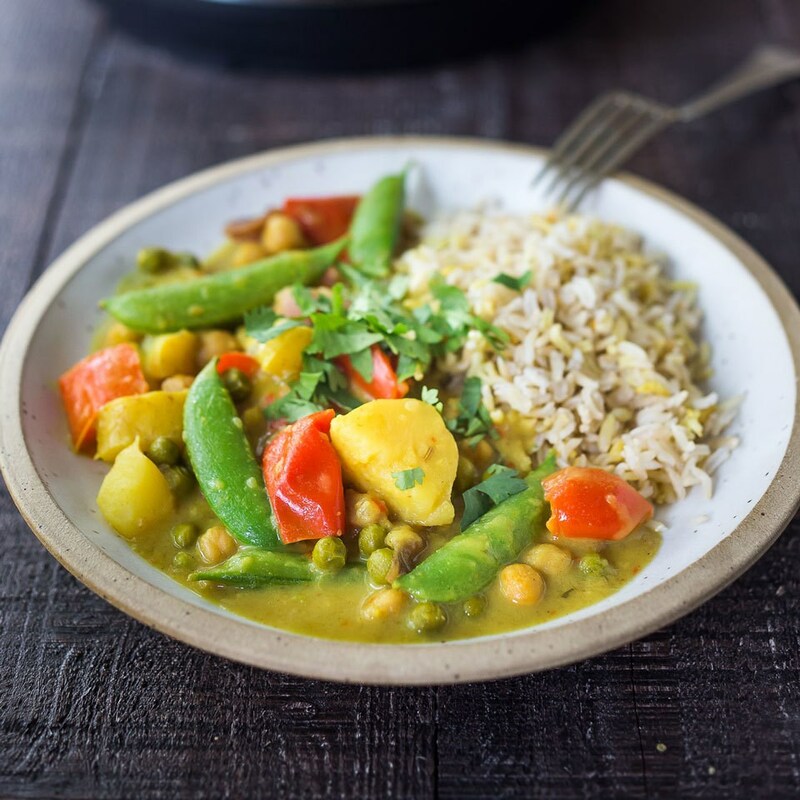 If you don't have a multicooker, try our Vegan Coconut Chickpea Curry. Serve this dish over rice to soak up all the saucy goodness. 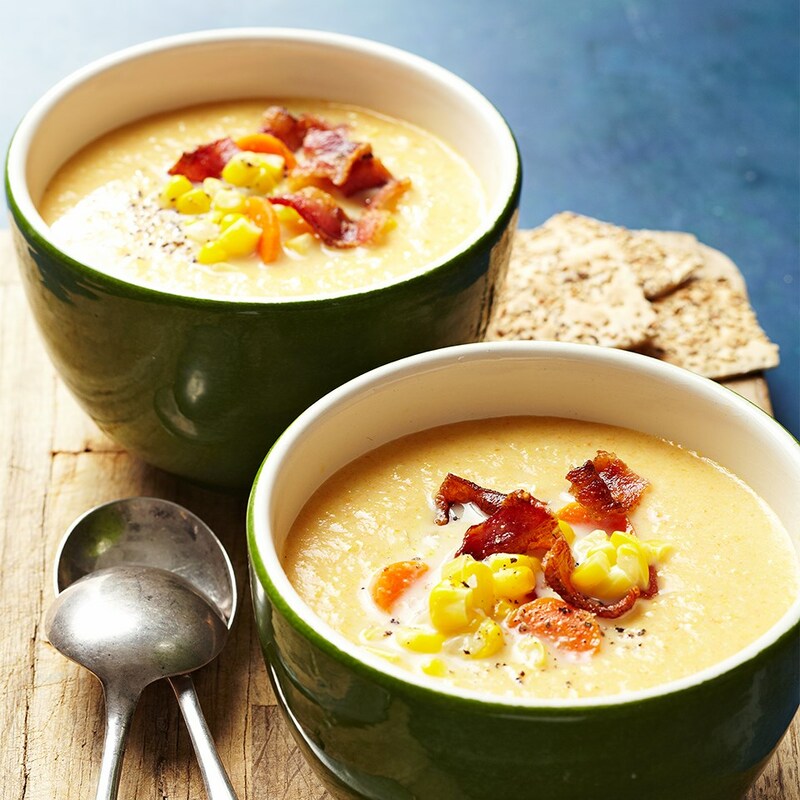 Creamy Corn Soup with Crispy Bacon: In this delicious one-pot dinner, carrots, celery, onion and corn simmer together with nonfat milk and reduced-sodium chicken broth to create a healthier take on classic creamy corn soup. Sprinkle a little bit of crispy bacon on top to give this comfort-food dinner a punch of extra flavor and crunch. 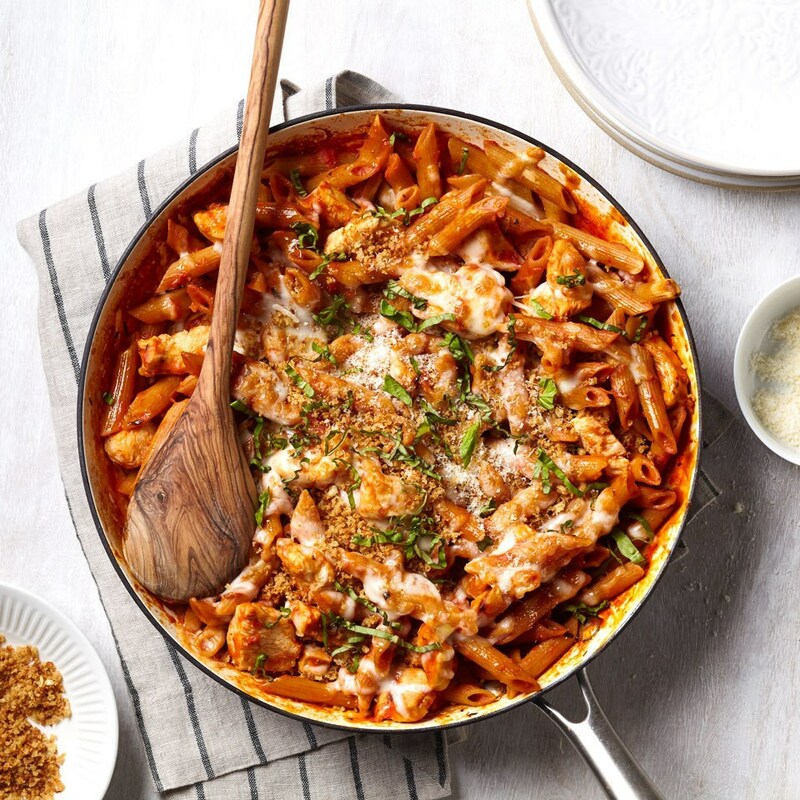 One-Pan Chicken Parmesan Pasta: This chicken Parmesan pasta uses the one-pot pasta method to cook your noodles, chicken and sauce all in one skillet for a fast and easy dinner with minimal cleanup. Finish the dish under the broiler to achieve a delicious melted cheese crust. 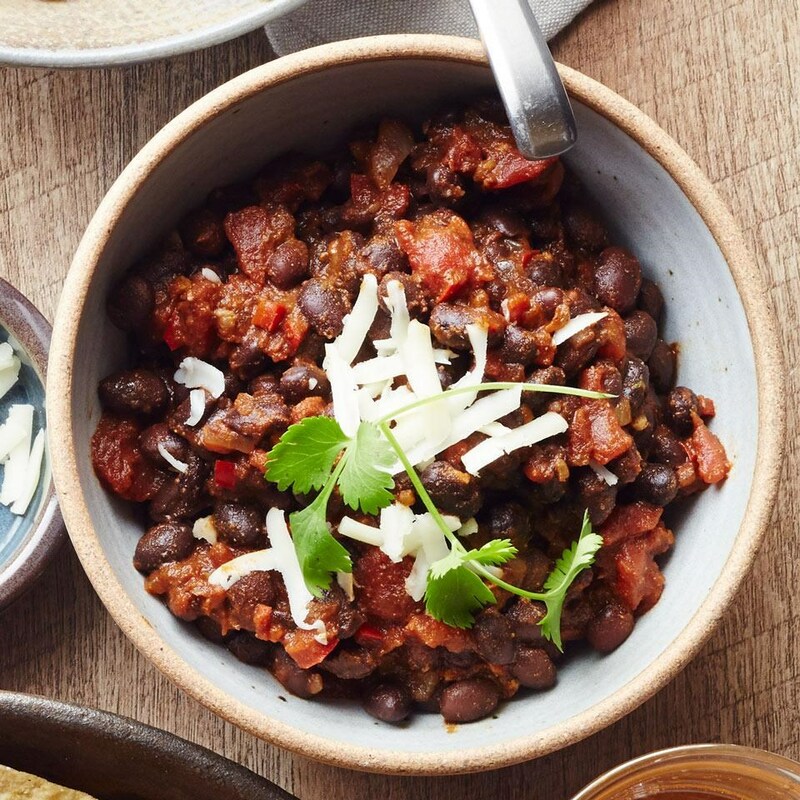 Easy Vegetarian Chili: Canned beans and tomatoes make this quick one-pot chili recipe ready to go in just 30 minutes. Serve with tortilla chips for added crunch, and add extra toppings as you see fit, like sliced scallions, chopped fresh cilantro, diced avocado and sliced jalapeños. 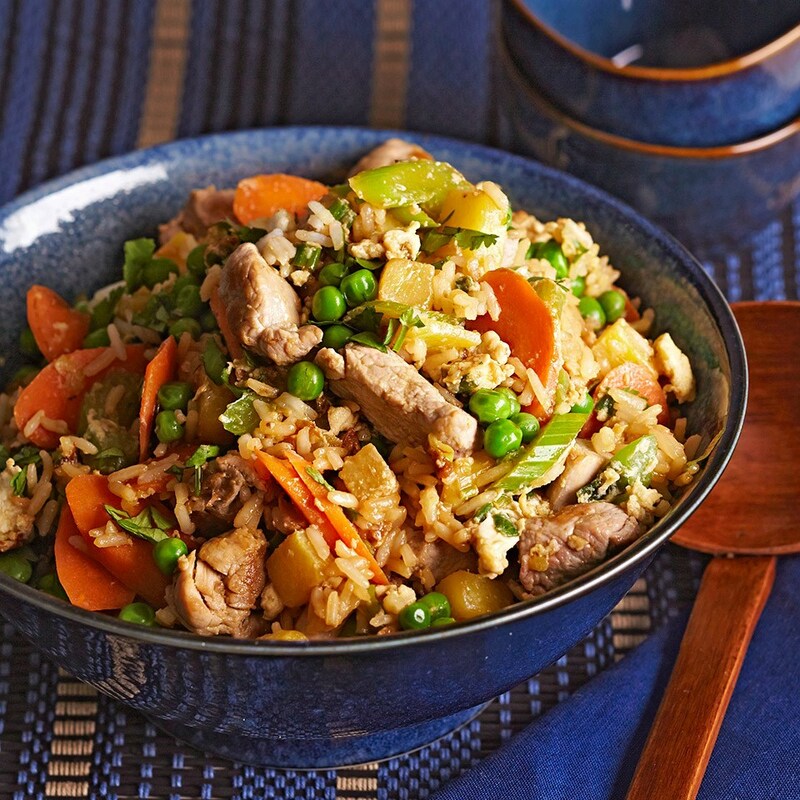 Pineapple Pork Fried Rice: Satisfy your takeout craving with this healthy recipe for pork fried rice. Featuring fresh ginger, garlic and pineapple, this recipe comes together in one large saucepan to create an intensely flavorful one-dish dinner. 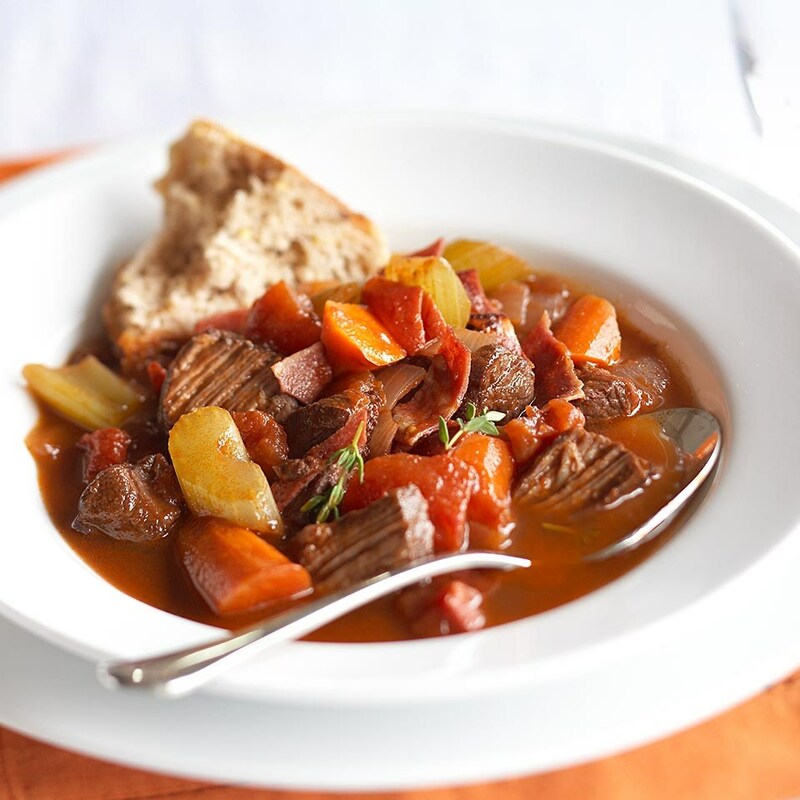 Hearty Beef & Vegetable Stew: This warming stew simmers beef and veggies with red wine in a Dutch oven, resulting in tender meat and a delicious one-pot dinner. Serve with whole-wheat baguette slices.